NOT just another Dermal Filler! Results Last up to 9 months! 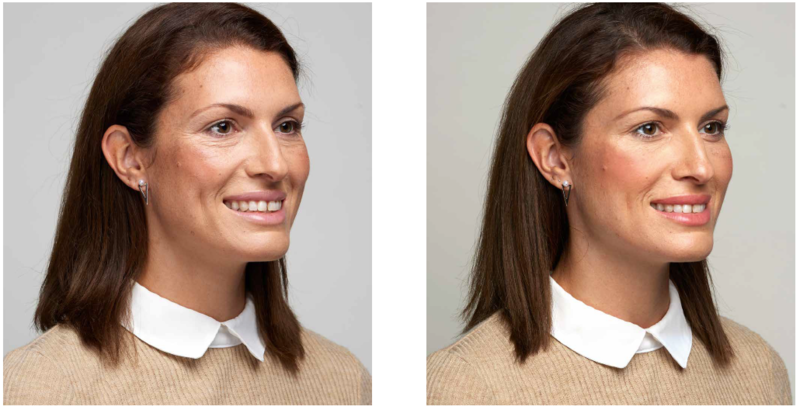 After clinical trials, 91% of patients were more satisfied with their skin, 96% had smoother cheeks after treatment and after 6 months, patients still saw the improvement from their initial treatment. Juvederm VOLITE is an innovative liquid injectable Hyaluronic Acid (HA), designed to specifically improve skin hydration, elasticity, fine lines and overall quality of the skin. Skin naturally contains HA, but as we age the body’s storage of it slowly gets depleted. Hyaluronic Acid is able to hold up to 1000 times it weight in water, which is why Volite is excellent at keeping the skin hydrated, while recapturing it’s youth. How is it different from Dermal Filler? VOLITE is NOT a Dermal Filler. Dermal fillers are meant to volumize and fill in wrinkles. Juvéderm® VOLITE has been specifically designed as a skin hydrator which is meant to nourish and moisten the skin. 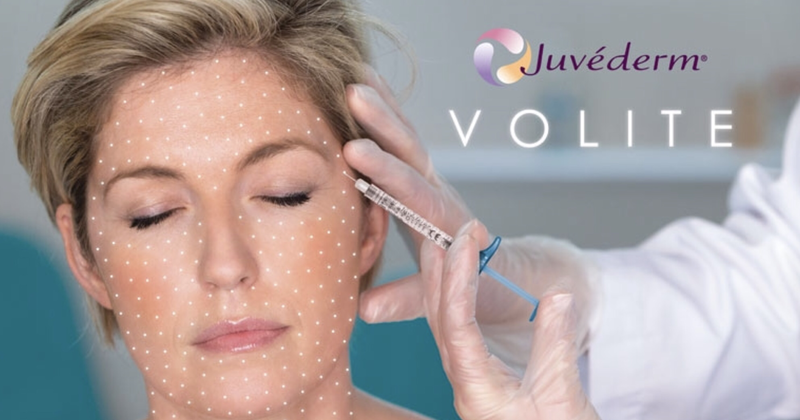 What areas can be treated with Juvéderm® VOLITE? Juvéderm® VOLITE can be used on the face, neck, hands and décolletage. How long does Juvéderm VOLITE last? The results of one VOLITE treatment can last up to 9 months. How soon will I notice the results? The effects of the treatment are immediate and continue to improve, with optimal results being seen within the first month. VOLITE contains a built-in anaesthetic – Lidocaine – making the whole injection process a more comfortable experience. Following the treatment, you may experience slight redness, slight swelling and possible bruising at the injected area. Makeup may be applied the following day. Mesotherapy hyaluronic acid treatments can replenish the essential building blocks of youthful, healthy skin. A natural element found in our connective tissues, hyaluronic acid provides intense dermal hydration and maintains the skin’s health, tone and moisture levels, all of which deplete as we age.Mesotherapy hyaluronic acid treatments are administered via a series of injections using tiny needles designed specifically for the purposes of skin rehydration. Hyaluronic acid mesotherapy treatments can be performed on almost every body area. Commonly requested areas include the face, neck, décolletage and hands. Discomfort is minimal due to the ultra fine needles used to carry out the treatment quickly and precisely. The latest Teosyal® Hyaluronic Acid gels are extremely pure, monophasic and homogeneous, and therefore are less vulnerable to free radical degradation. The painless hyaluronic acid injections* use a formula including a local anesthetic which is recognized worldwide in medicine and surgery: lidocaine. Offered with a glass syringe and made from non-animal biodegradable gels, the complete PureSense product range have a greater volume creating ability and can last up to 18 months. All the products listed below are now available with lidocaine as part of the PureSense range. Redensity I is used to nourish the skin from within. This product provides outstanding hydration and restores your skins ability to reflect light. Redensity I is a light reflecting hyaluronic product that adds a patented formula containing anti-oxidants, amino acids and minerals. Treatment consists of performing micro-injections as well as superficial injections of Redensity I across the skin. 3 treatments at 3 weekly intervals are recommended for optimum results. Light Filling treatment is suitable for the face, neck and also the neck lines which are particularly fragile and ignored by other treatments.